AlgaePro AS utilizes industrial waste-streams to produce sustainable Microalgae biomass for food and feed markets. Ekofolio is a mission-driven fintech company enabling everyone to invest in Forests profitably. Mapple‘s location intelligence software helps cities and real estate companies better understand the area they are planning to develop. 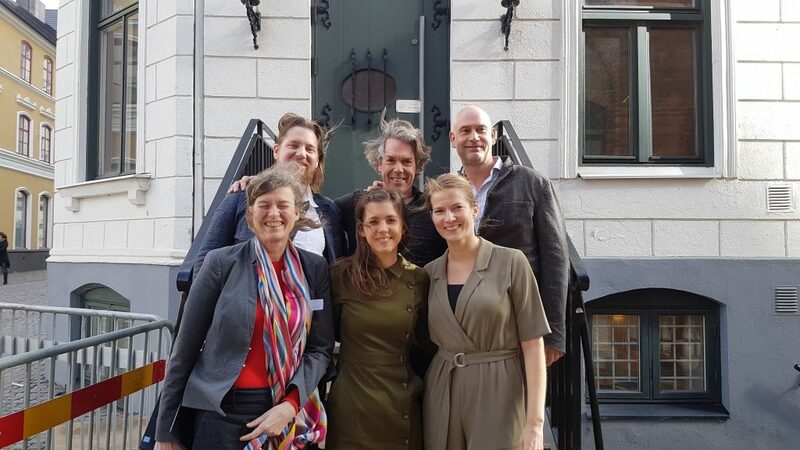 Mycorena AB brings circular economy to food and agriculture industries by turning waste into valuable bio-based products using their innovative fungal processes. Nordetect helps farmers and agronomists optimise fertiliser use with biosensors and decision support software. PlasticFri produces a new generation of biodegradable, compostable and plant-based plastic bag without any petroleum or toxic content. The Apple Girl turns apples into leather. TotalCtrl is a software company that helps the entire value chain reduce food waste. Wavefoil AS reduces the fuel consumption and increases the comfort of ships. A tough race and a beautifully diverse cohort! Our established panel made the day all the more memorable with their constructive input and reflective questions. 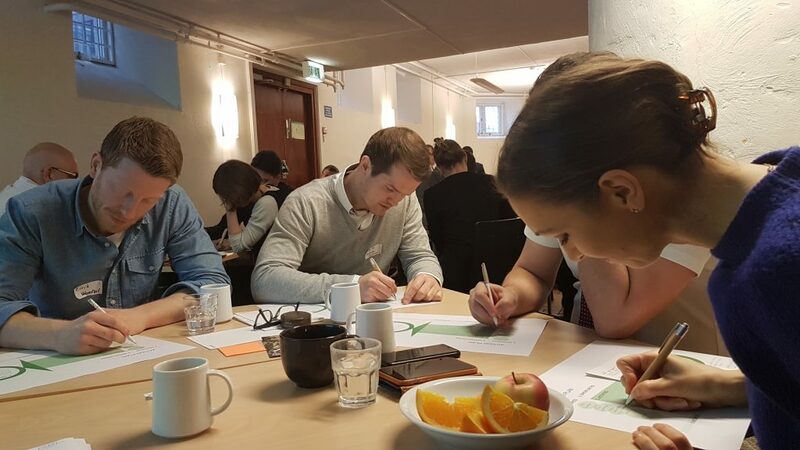 Our appreciation goes out to Karin Ebbinghaus from Almi Invest, Johan Söderblom form WWF Sweden, Sara Hamlin from E.ON Sweden, Alexander Moldt-Nielsen from Novozymes, Ross Brooks from Katapult Ocean and Emilie Normann from EIT Climate-KIC for helping us with the selection process. It’s been a true pleasure working with all twenty start-ups. Each founder has leaned in fully and gave it his/her best shot, ensuring a tough selection process. Kudos to Compax Solutions AS, Green Process Engineering, Greenstock.no, Karbonautti, Noquo Foods AB, Enyday, Plant Tech, PurCity, ReTrade Electronics, Victor Energy Projects IVS! Keep up the game-changing work you do! We sincerely hope to get future opportunities of working together and will do our best to keep you engaged in our community of change makers. – Anja Leissner, Founder of Noquo Foods AB. We can’t wait to see what the next chapter holds with our new climate entrepreneurs. Thanks to all for making these two days a success! Curious for more? Check the pictures right here!